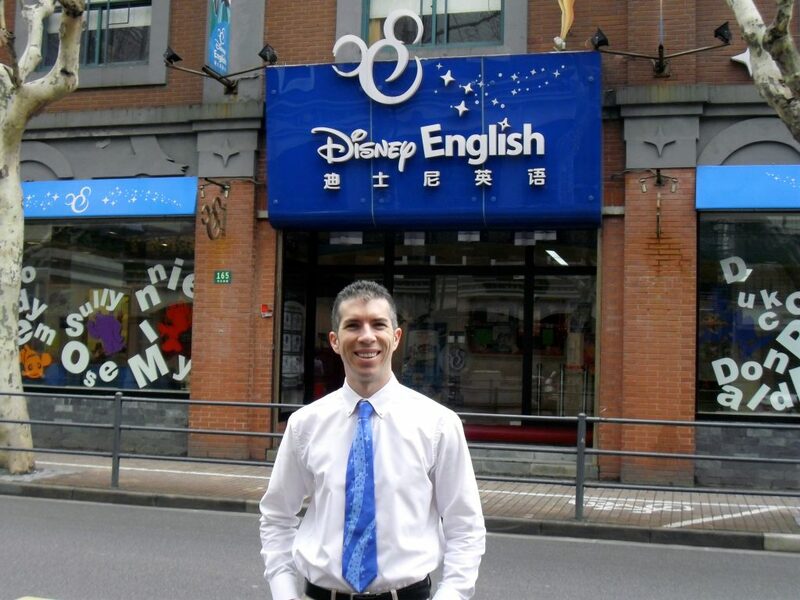 I asked that question during my interview in 2008 to be one of the first Foreign Trainers for the new Disney English company opening in China. Previously, I had been fortunate to extensively travel and live internationally, so I had seen my fair share of knockoff and bootleg Disney items and businesses around the world. When I received my job offer as a Foreign Trainer with Disney English, my first question was: Where will I be living? I soon learned I would be moving to Chengdu, a major city in western China. I had never heard of this place! 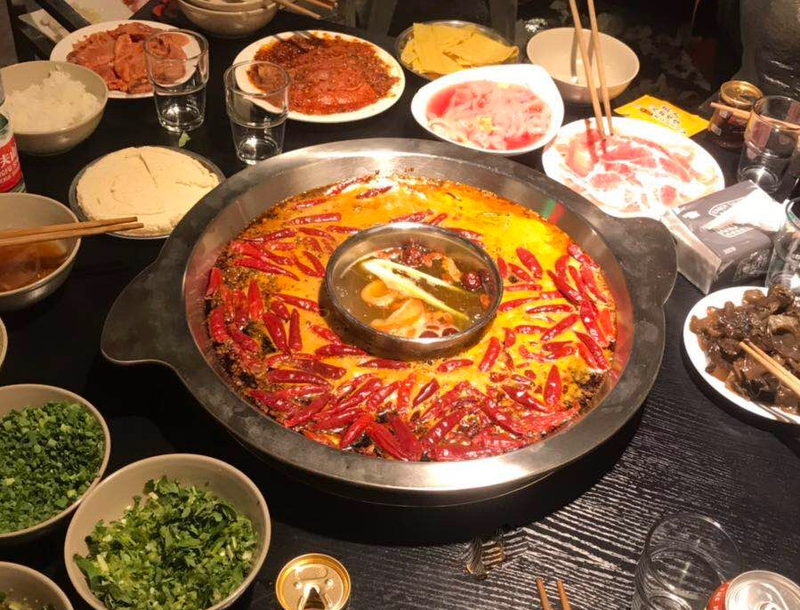 My recruiter told me about Sichuan Province: spicy cuisine, beautiful mountains and the country’s largest Panda Research Bases. Hikes, good food and pandas? Sign me up! I have lived in Chengdu for more than two years, and I fall more in love with my city every day. There is so much to experience! 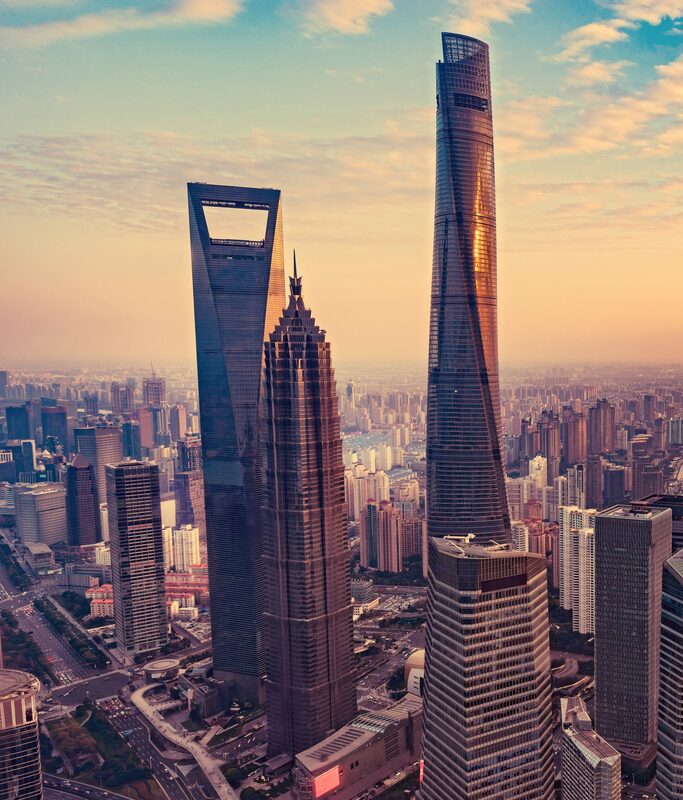 Making the move to China is an exciting new change! You get to explore a new country, immerse yourself in a new culture and discover a whole new world of possibilities! But before you hop on the plane to begin your new adventure, you must complete a pretty important task: packing. While packing may sound fairly straightforward, deciding what you need to take to a foreign country is no easy endeavor. 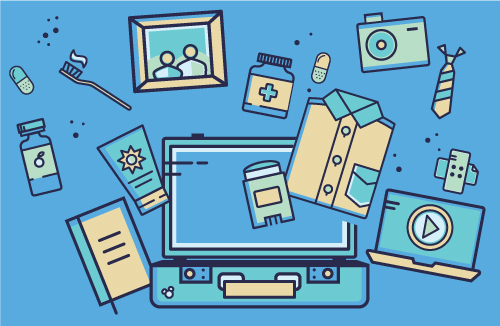 In fact, several products you may take for granted in your home country may be completely different in China. One of six Disney Park destinations around the world, Hong Kong Disneyland is home to some magical experiences that cannot be found at other Disney Parks. A multi-year expansion is underway, making it a must-visit stop for any Disney fan. The best news – as a Foreign Trainer with Disney English, you receive complimentary theme park admission! 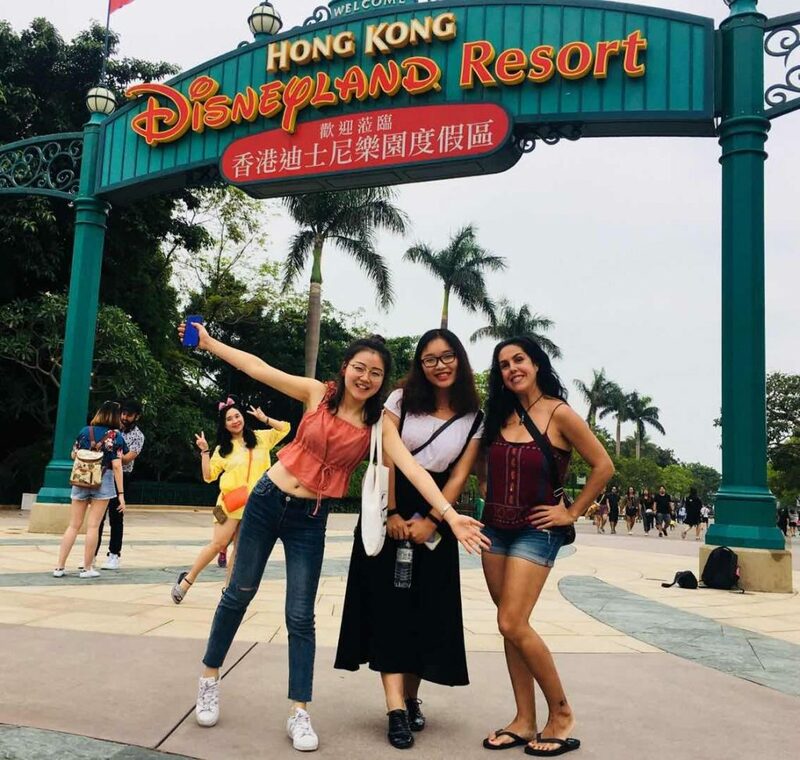 Hong Kong is located off the south coast of China, and is quick train/plane rides away from the Disney English cities of Guangzhou and Shenzhen. If you are a Foreign Trainer based in Disney English cities that are farther away, then a flight will take about 2-3 hours to arrive in Hong Kong. Ask any Disney Cast Member, and they can tell you at least one of their favorite Disney characters. 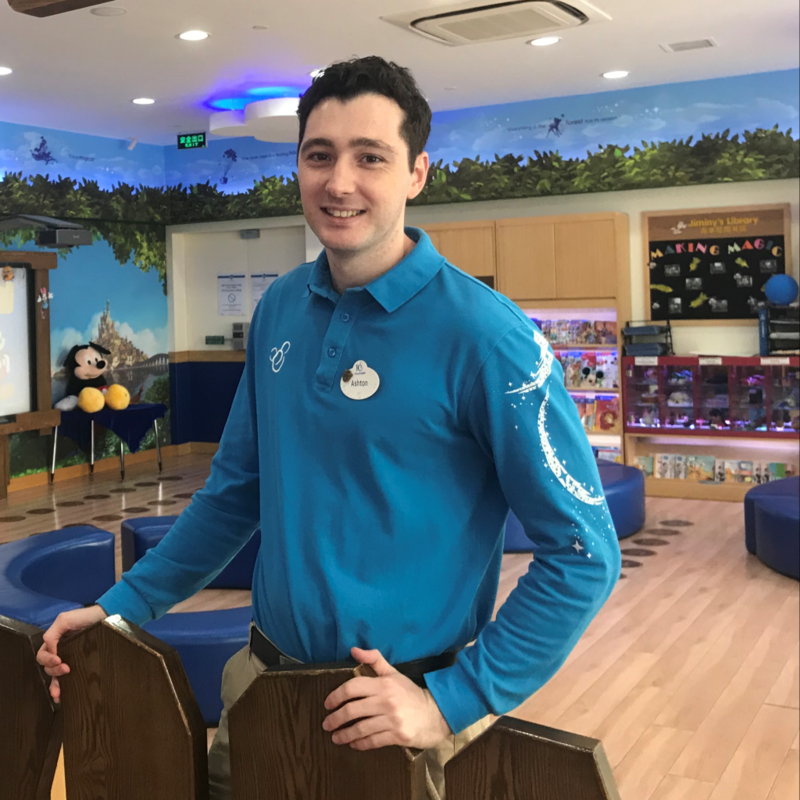 The same is true of Ashton, a Foreign Trainer from Australia currently working in Guangzhou; his favorite Disney character is Tarzan. Tarzan learned to communicate and talk to Jane through hard work, perseverance and fun (and a lot of patience from Jane!). As a Foreign Trainer for almost two years, Ashton is quite familiar with this communication method, since he must work around language barriers in order to teach and communicate with his students. 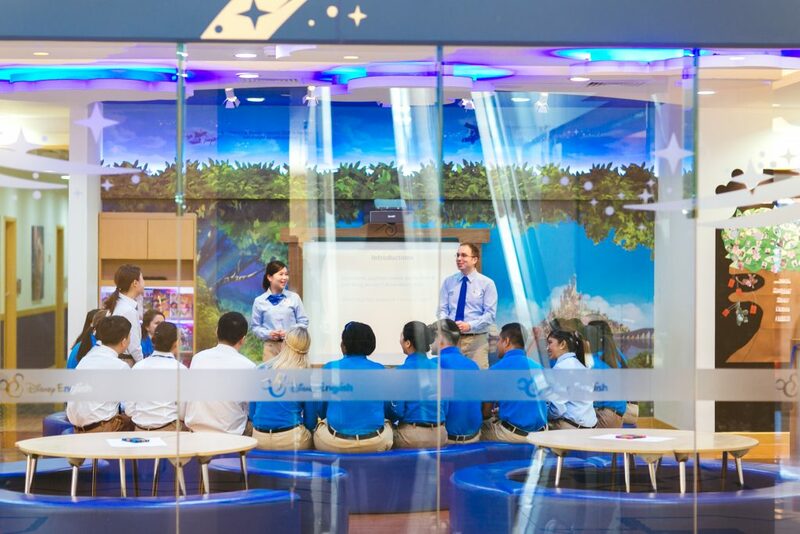 It’s not always easy, but Disney English provides the materials, teaching methods and lesson plans that make it all possible.